Get together at the Clarion Inn Seekonk-Providence hotel in Seekonk, MA located off Interstate 95. 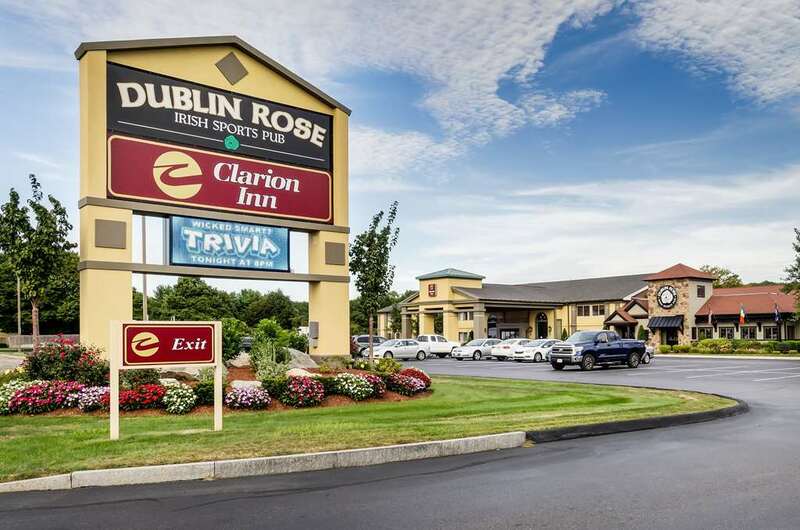 This smoke-free, pet-friendly hotel is located near destinations like Roger Williams Park Zoo, Rhode Island Convention Center, Dunkin Donuts Center, Providence Performing Arts Center and State House. Enjoy amenities like free hot breakfast, free WiFi, fitness center and guest laundry facilities. Guest rooms include a flat-screen TV, hair dryer, coffee maker, iron and ironing board. Some rooms feature a refrigerator, microwave and a hot tub. Also, earn rewards including free nights and gift cards with our Choice Privileges Rewards program. Please alert Front Desk staff you have a pet when checking in 2 Pets per room allows, dogs only 75.00 per stay.